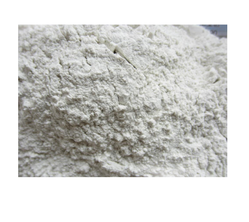 We are a fast growing manufacturer and exporter of china clay powder (filler grade). 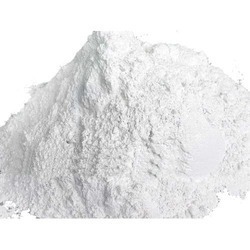 Our range of china clay powder, processed china clay powder, filler grade china clay powder is acknowledged for its qualitative nature and used as pesticides in homes and heavy industries as well. 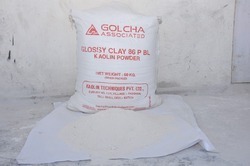 This china clay powder (filler grade) is offered by us at most reasonable prices to our esteemed clients. We are the leading manufacturer & supplier of Calcined Clay Powder. This product is widely used in emulsion paints and also in paper coating for high inked. These products are produced using the latest technology and optimum quality of material. 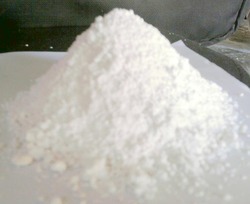 Cosmetic Clay - Unique raw material for cosmetic products - produced from selective source of natural kaolin minerals having very low ironic impurities and free from all heavy metal. We are providing Micronized China Clay Powder to our valuable clients. Others- like soft pencils, cosmetics, Foam, voltage insulators etc. 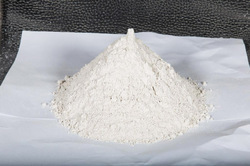 Kaolin Techniques offers a significant range of regular, fine and ultra-fine grades of Hydrous Kaolins from its own best reserves for use across different industries including Paint, Paper, Printing Inks, Paper Board, Rubber, etc. Our unique grades are among the finest in the world in terms of Brightness, Rheology and Fineness. These grades are designed to give excellent coated surface properties like Gloss, Shade and Smoothness. Specialty grades give excellent results in terms of Opacity and Gloss. Ultra-fine Hydrous Kaolins with narrow particle size distribution, close to that of Titanium Dioxide, enhances the effective spacing of Titanium Dioxide particles and helps partial replacement in high sheen water-based paints and solvent-based glossy enamel paints. Hydrous Kaolins are normally used as a functional fillers in Ink Formulation, Rubber Industries and Agrochemicals. The platy structure, fine particle size distribution and medium oil absorption property of Hydrous Clay provides great benefits to Paper, Adhesives and Sealants. Kaolin Techniques offers a variety of Hydrous Kaolins under brands Glossy Clay 80P, Glossy Clay 80PC, Glossy Clay 82P, Glossy Clay 84P, Glossy Clay 86P-BL,Snowgloss and many more. 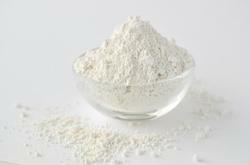 We present a comprehensive range of china clay powder such as hydrous china clay. These are used as pesticides and also known as pesticides china clay. Retention on 400 # calibrated sieve 1% Max. Moisture Content (105°C / 1Hrs) 2.0 % Max. % of TiO2 Replacement N.A. Hiding / Covering Ability N.A. % Above 10 µ N.A. % Below 2 µ N.A. % Below 1 µ N.A.